This D1 unit, suitable for Educational or Medical use, forms a self-contained part of a new build mixed-use scheme comprising offices, apartments and a restaurant accessed from Seymour Street. We are instructed of offer a new lease for a term of 20 years. 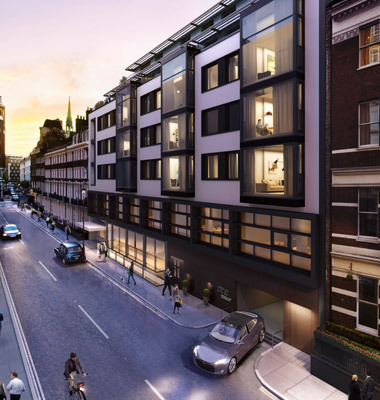 16 Bryanston Street is situated on the north side of the street, just west of Portman Street which links Oxford Street with Portman Square and then runs north towards Baker Street underground and Marylebone mainline stations. The Portman Estate is seeking to secure either a Medical User, or a School or College offering Secondary or Higher Education ideally for no more than 150 students. The incoming operator will need approval from the Estate and Westminster Council for any changes to the agreed Travel Plan.